Today IT Infrastructure topology and future of work is carved by fast evolving of new technologies, customers and working staff of millennial generation with globalization trends increasing. To survive tomorrow's business competitions seamless integration with new IT Technology would be inevitable because future of the business will depend on innovative capabilities, effective solutions and Virtualization with efficiency. 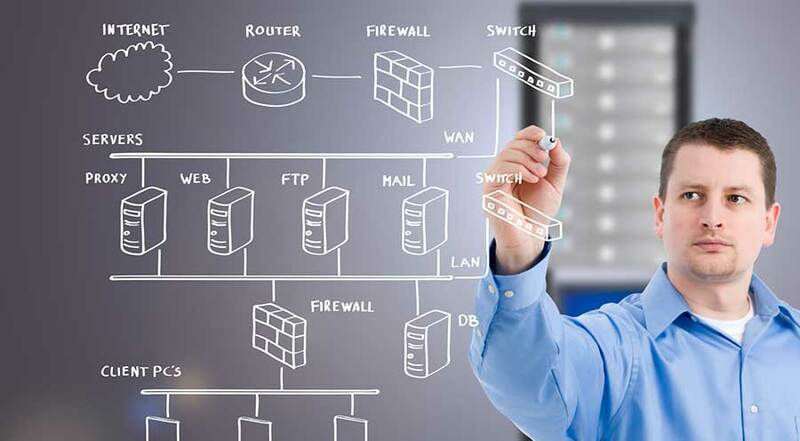 To run a business effectively there should be a reliable infrastructure regardless of its size say it may be complex and huge windows or linux domain network on several servers which are virtualized or just a Desktop or laptop computer with printer and internet. Technology at hand dictates the ability of a business to get the work complete. We help our client to concentrate on their core business and stop worry about computers by letting us to make the computers and infrastructure perform so well that you can always rely upon. Sysnet system gives you every reason to have a full fledged IT set up with our IT infrastructure services by keeping you out of every technical difficulty and help you with more time to focus on the core business. We offer you with the best network solutions webmail. Our network solutions can certainly accelerate the growth of your business to a massive extent. Setup local office servers with racks and remoteservers in Data Centre. Network security policy setup & maintenance. Centralized network backup and file storage. Corporate Data Backup and Disaster Recovery Management.